The Internet is an open network environment where anyone can post any information. Fake or erroneous information posted online may range on a continuum; from that of a prankster to a poster of a more sinister nature. For example, a report in The Times newspaper in the U.K. listed Masal Bugduv at number 30 in a list of 50 rising stars in football. A number of top premiership clubs, including Arsenal and Liverpool, were reported as being interested in signing the young player. However, the story began to unravel when football fans, bloggers and reporters started to note inconsistencies in the story. Masal Bugduv was in fact a non-existent, manufactured player whose name was curiously phonetically similarly sounding to the title of a story in the Irish language called M’Asal Beag Dubh, a story of a pretty useless donkey! Over an extended period of time a prankster has posted snippets of information about the rising status and footballing prowess of the Moldovan player on blogs and football forums on the Internet. Thereby creating the fictitious player and leaving The Times reporters with red faces! At the other end of the spectrum are hateful websites such as, MartinLutherKing.org, a web site created by Stormfront, a white supremacist group, designed to discredit the life and work of Martin Luther King. Therefore, one must exercise critical evaluation skills, critical thinking skills, critical reading skills and media and information saviiness skills to obtain, corroborate and integrate information across multiple online sources and to interrogate online text in terms of accuracy, reliability, believability, currency, depth, authority and author motive. The research suggests that adults (Fogg et al., 2002) and adolescent students (Leu et al., 2008) rarely engage in such critical evaluation of online information. 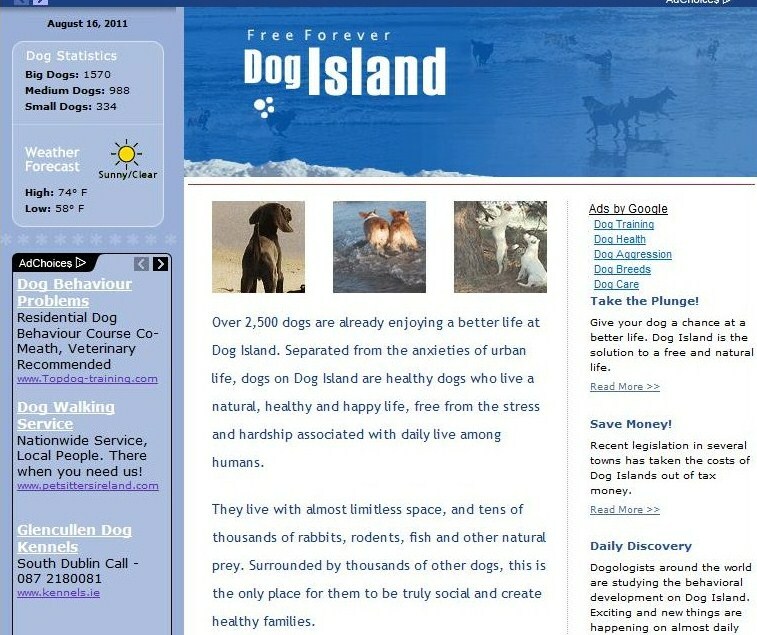 Free Forever: The Dog Island (http://www.thedogisland.com/). The children’s ability to evaluate online information was developed by explicit strategy instruction in both a checklist and cognitive type approach (For a review of these approaches read Metzger, 2007). For example, the children were taught to evaluate the information provided in the URL domain-name prefix and suffix concerning the reliability, origin and purpose of the web site. Further, the children were encouraged to judge, evaluate, and cross check information across multiple web sites and connect this information with their prior domain and world knowledge. Finally, the children engaged in class discussions to reflect on the need to critically evaluate information in an online environment. Data analysis suggested that although the children were aware of the strategies needed to evaluate online information they did not consistently engage with these strategies. Clearly more research on critical evaluation skills in an online environment needs to focus on the possible developmental nature of such skills. Is it feasible to develop critical evaluation skills, beyond a procedural and declarative level of knowledge to a conditional level of knowledge, with elementary school children? Or perhaps the best we can hope to achieve is that children develop an awareness of the need to have their antennae raised around issues such as, reliability, veracity, authority and author bias in evaluating online information? What do you think? Metzger, M. (2007). Making sense of credibility on the web: Models for evaluating online information and recommendations for future research. Journal of the American Society for Information Science and Technology,58(3), 2078-2091. Leu, D. J., Coiro, J., Castek, J., Hartman, D. K. Henry, L. A., & Reinking, D. (2008). Research on instruction and assessment in the new literacies of online reading comprehension. In C. C. Block & S. R. Parris (Eds. ), Comprehension instruction: Research-based best practices (2nd ed., pp. 321-346). New York: The Guildford Press.